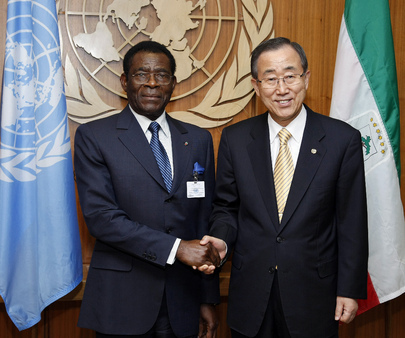 UNITED NATIONS, February 25 -- When the world's #16 dictator, Equatorial Guinea's Teodoro Obiang Nguema Mbasogo was slated Friday to meet up-and-coming son Ali of the #11 dictator, Omar Bongo and the UN's Ban Ki-moon, the treaty signing photo op was set for 12:45. Obiang, meanwhile, had his representatives waiting. Inner City Press spoke with Obiang's lobbying, for today with an Equatorial Guinea Diplomat pass from the UN, Gregory Lagana. After introductions, he told Inner City Press he used to be with the US State Department. This checked out -- assigned for the UN to San Salvador, Quito and Rome. He was also the spokesman for DynCorp, the private military contractor a/ka/ mercenary firm. Now flush with oil, and head of the African Union, Obiang is trying to rehabilitate his image. He tried to get a prize from UNESCO but this was shot down after opposition. Now he comes to the UN to sign a treaty with his neighbor Gabon, where the opposition figure has had to seek physical protection from the UN. At Friday's noon briefing, Inner City Press again asked Ban's spokesman Martin Nesirky if Ban would raise to Ali Bongo the crackdown on opposition protests, and the UN's hosting of Mba Obame. 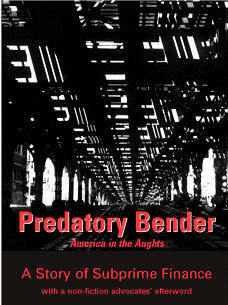 I don't want to pre-judge what will happen, Nesirky said, promising a read out later in the day. But with the treaty signing photo op put off, nothing was assured. Watch this site. 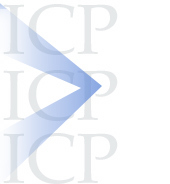 At UN on Libya, ICC and Conservatives Lurk in UK Draft, US Called AWOL, No-Fly Won't Fly? UNITED NATIONS, February 25, updated -- While at the UN Security Council the UK draft resolution on Libya, on which Inner City Press reported exclusively mid-Thursday had not yet been circulated late on Friday morning, Council member sources described the issues to Inner City Press. The source did not predict the inclusion of a no-fly zone, which NATO is discussing, but did predict a fight over inclusion of language about the International Criminal Court. Earlier in the week, the ICC, Prosecutor put out a press release that he can only get involved if the Council makes a referral, as it did on Darfur. Ironically, there are moves afoot to suspend ICC prosecution of Sudan's Omar al Bashir, just as referral of Gadhafi and his sons is considered. Several Council sources marveled at how quiet the United States has been. “Is it just because Susan Rice is away?” one asked, referring to the US Permanent Representative's trip to South Africa for a UN sustainability conference. One of Gadhafi's sons has called for Tony Blair to him “crush” the Colonel's enemies, and UK firms did recently sell weapons to Gadhafi. We've yet to hear the UK Mission to the UN address this. Ban Ki-moon will brief the Council Friday at 3 pm, then talk to the media at 4:20. It is expected that some Council members will ask for a delay in any vote on the resolution, and that others will demand weekend meetings to show their seriousness, as one source put it. Watch this site. Update of 11:17 am - the UK and France have circulated elements of the draft resolution to other EU members, Inner City Press is told -- again with the question why the US is so AWOL. Update of 2:26 pm - At Libya's Mission to the UN, Ibrahim Dabbashi held another presser, telling Arabic media that an International Criminal Court reference WILL be in the draft resolution. Inner City Press has replied to the US Mission's Twitter response, asking for US positions: watch this site (or Twitter). 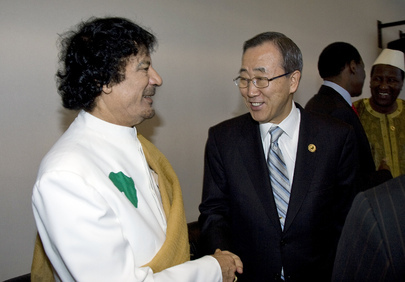 At UN on Libya, UK Quietly Drafts a Resolution, Ban to Brief, Gadhafi Kin with UN? UNITED NATIONS, February 24 -- With criticism mounting about inaction on Libya by the UN and the Security Council the UK is preparing a resolution, Inner City Press is told, while Secretary General Ban Ki-moon is being asked to brief the Council on Friday. This was hard won news, as Western countries' diplomats were saying very little. The US is represented by Deputy Permanent Representative Rosemary DiCarlo, with Perm Rep Susan Rice away in South Africa for a UN sustainability panel. DiCarlo said only, “We are all very concerned.” UK Perm Rep Mark Lyall Grant ignored shouted questions on his way into the Council. Other sources, though, said that the UK is drafting a resolution, and that in Thursday's “Any Other Business” consultations, it was decided to ask Ban Ki-moon himself to briefing, since Department of Political Affairs chief Lynn Pascoe will be out of town in Egypt. At Thursday's noon press briefing, Ban's spokesman Martin Nesirky was asked if Ban is in favor of Libya being thrown off the Human Rights Council. He replied, that's up to the states on the Human Rights Council -- HRC, or as someone snarked, Hillary Rodham Clinton, who is headed there on Monday. Inner City Press had asked Nesirky since February 20 about Aicha Gadhafi, daughter of the Colonel, being a UN system Goodwill Ambassador. After refusing to answer by email, at the February 22 noon briefing when Inner City Press asked in person, Nesirky said he “understood” she is a UNDP Goodwill Ambassador, on AIDS. On February 23 he announced, in response to questions from the previous day, that she was fired by UNDP. But Thursday in Tripoli, Aicha Gadhafi said she had heard nothing from the UN system about no longer being a Goodwill Ambassador. 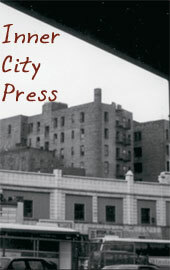 Inner City Press asked Nesirky how Aicha was informed. Ask UNDP he said, adding that he had been clear. We'll see. While Switzerland has gone forward to freeze Gadhafi's assets, it echoed Switzerland previously blocking Libyan diplomats from travel to Europe, after a spat about Gadhafi's son's physical violence in Switzerland and Gadhafi's call for a jihad. One of the officials blocked, it was reported, was then President of the UN General Assembly Ali Treki. Where is Treki now? Permanant Representative Shalgam, it's said, is at his -- or Libya's -- house in New Jersey, brooding and “very emotional.” On the Libyan mission on 48th Street, the new/old black Libyan flag is flying, reportedly allowed by Deputy Perm Rep Dabbashi. UNITED NATIONS, February 23 -- Amid the UN's sudden claims to be getting tough with Libya, Inner City Press since February 20 has been reporting that the UN system named Aicha Gadhafi, the Colonel's daughter, a Goodwill Ambassador. Inner City Press sought comment in writing from Secretary General Ban Ki-moon's spokesman Martin Nesirky, without answer. Inner City Press: can you confirm that Colonel Qadhafi’s daughter, Ayesha, is a UN system Goodwill Ambassador with a Laissez-Passer that remains open until 2013? And what does… If so, what does the Secretary-General think about this goodwill ambassadorship? Will it be revoked? Is it, what is your position on it? Spokesperson Nesirky: As I understand it, she is a national Goodwill Ambassador in Libya for UNDP [United Nations Development Programme]. On the other details you have asked, I will check. Since Nesirky had checked and gotten the answer from and about UNDP, it is unclear why he didn't answer the pending written question. Perhaps he hoped that, with briefings truncated by meetings, the question couldn't be asked in person. On February 23, in person, Inner City Press asked former UNDP Administration Mark Malloch Brown about Aicha Gadhafi being a Goodwill Ambassador. Later on February 23, Ban Ki-moon appeared at the UN North Lawn second floor stakeout and took a handful of questions. When asked if he was calling on Gadhafi to step down, Ban dodged the question then left. He contrasted this with the “two most successful Secretaries General, Dag Hammarskjold and Kofi Annan,” while noting that those who voted for them hadn't read their biographies. Under Dag Hammarskhold, would the daughter of Libya's dictator, who killed his opponents as far back as the 1970s, have been made a UN system Goodwill Ambassador? Watch this site. Footnote: Malloch Brown, before answering Inner City Press' question, said it should buy a copy of his book, for the “pain extracted from me for so many years.” While it may refer back to some profanity he used, compared to current UN system leadership, at least Malloch Brown purports to take and answer questions. UNITED NATIONS, February 20 -- As in Libya the forces, including mercenaries, of Colonel Moammar Gadhafi shoot and kill peaceful protesters, the UN has been nearly entirely silent. In the wake of the gunning down of 46 democracy protesters in Libya’s second largest city, Benghazi, by security forces under the command of Colonel Gadafi, is the UN reassessing its relationship with Col Gadhafi’s daughter, Aicha, who the UN has designated a “Goodwill Ambassador? Has the Secretary-General sought to use the UN’s special relationship with its Goodwill Ambassador Dr Aicha Gadhafi to persuade her father not to use such excessive force against peaceful demonstrators? Nine hours later, no response at all from the UN. Inner City Press also asked Ban's spokesman Nesirky “in this context, the Secretary-General's planned trip to California to meet and greet 'the entertainment industry,' how much is this trip costing, and is it funded by the Regular Budget of the UN -- and if not, what is the funding source?” Again, no answer. Inner City Press: Is there any thought of using the existing UN programs on the ground, whether it is UNDP or otherwise? There was some criticism of this training of police in Egypt prior to the — there was criticism by NGOs that it didn’t bring in human rights activists but rather Government people. Is there some thinking of how — the UNDP website about Libya hasn’t been updated now in several months, I guess — it seems to some, due to the turmoil. What about these UN…? Spokesperson Nesirky: Who might that be? Who is it, these people who think it might be? Inner City Press: People that look at it and have seen that it was updated all the way, until suddenly there was turmoil in the country and then it is not updated any more. Inner City Press: What’s the role, according to the Secretary-General, of the existing UN programmes in countries like Libya and Yemen, where Helen Clark visited and didn’t say anything about democracy? Spokesperson Nesirky: Well, there are lots of, as you know, across the region, there is a UN presence in different constellations; country teams with different components, whether it is UNDP or other UN agencies, funds and programmes. Of course, given that they are already on the ground, given that they have been working there in different capacities on different projects, they are well placed to be further involved. But this is part of a bigger picture, and it is being very carefully coordinated. Inner City Press: Is there any change of policy? I guess I am saying, given that the announcement today that the UN is sort of taking cognizance of all this, is there, is that…? Spokesperson Nesirky: Well, Matthew, it’s hardly an announcement today. This is something that has been said consistently for a number of weeks now. And indeed, further back, as you know, the Human Development Reports on the Arab world have been saying this for the best part of a decade. So, okay, thank you very much. But what had the UN been doing about Libya? Watch this site.